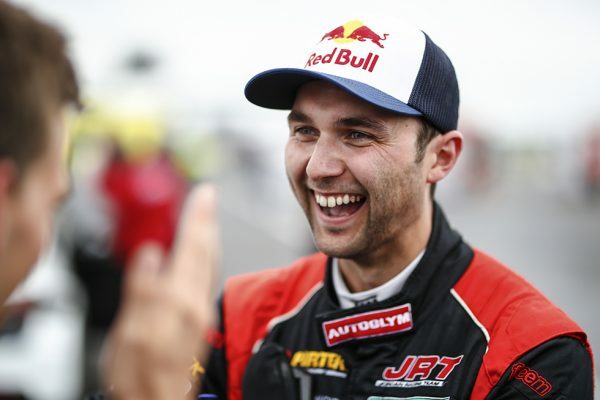 Andrew Jordan is the next top driver in the line-up for the inaugural 2019 season of the TitansRX Rallycross Series. The Brit first started racing in rallycross, when he entered the Ford Rally Academy in 2003 and enjoyed immediate impact winning the Winter Junior Rallycross Championship and the BTRDA Junior Rallycross Championship the following season. In 2006, Jordan was the youngest ever race winner in the British Rallycross Supercar class and came championship runner-up a year later. Parallel to his touring car endeavours, where he crowned himself British Touring Car Champion in 2013, Jordan has always continued to race in rallycross. In 2014, he returned to the sport and has competed in several FIA World Rallycross Championship events since. 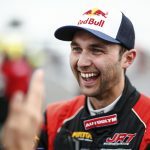 For the 2019 season, the 29-year-old will join the brand-new TitansRX Europe Series. “We have known Andrew for some time and are very happy to welcome him on board. He is a highly skilled and exciting driver,” series promoter Max J. Pucher said. 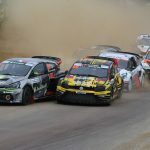 “Having started my career in Rallycross, I have always loved the sport and re-joined whenever possible. Competing in World series events most recently, I managed to meet Max (Pucher) who signed me for several races over the last two years. I really enjoyed working with them and hearing about his plans moving forward and seeing how ambitious he was, I straight away wanted to be involved”, Jordan was all smiles. “The level of drivers that will be competing from many different areas of motorsport is fantastic and I can’t wait to test myself against these great drivers”, he added. 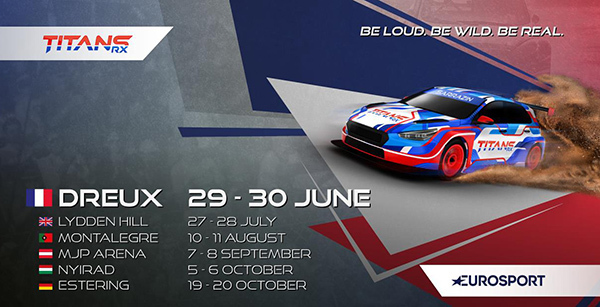 The TitansRX Championship will take off on June 29/30 in Dreux, France.